CHART: Chapel Hill Autism Resources and Tools: Last Chance to Enter the Asperkids Book Giveaway! Last Chance to Enter the Asperkids Book Giveaway! If you haven't entered to win the Asperkids book giveaway yet, this is your last chance! 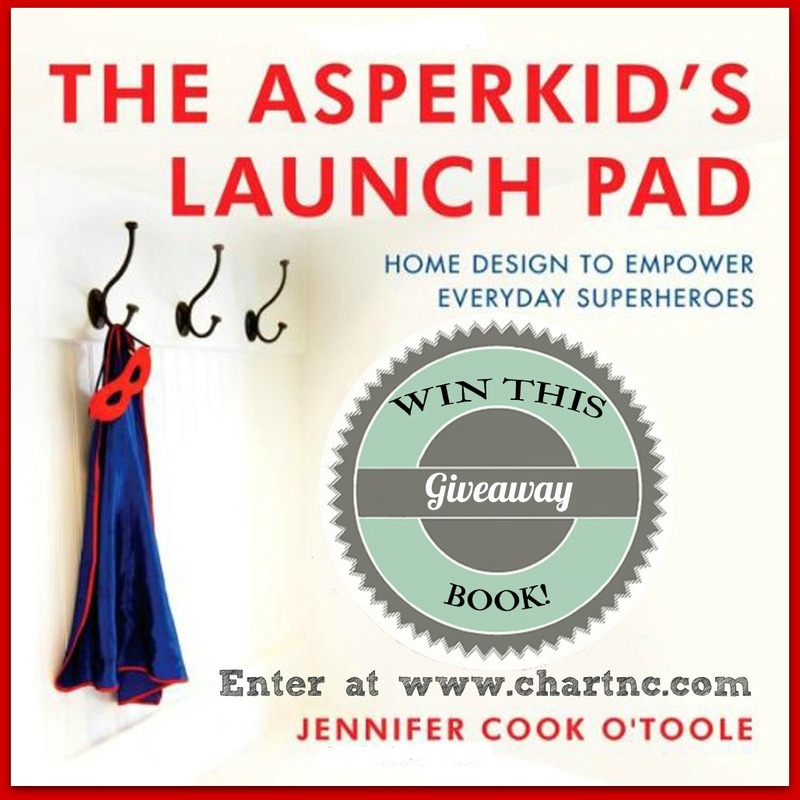 Jennifer Cook O'Toole of Asperkids has generously donated a copy of her newest book, The Asperkid's Launch Pad for us to give away to one lucky reader. It is the perfect tool for parents who want to learn how to structure their home to become a haven for their child with Asperger's / autism. Find out about setting up spaces, how to teach practical daily living skills, and how to empower your child to find success in the wider world outside the home.